My family always loves to get in the Christmas spirit early to make the holiday last as long as possible, so I decided to start making Christmas recipes early. 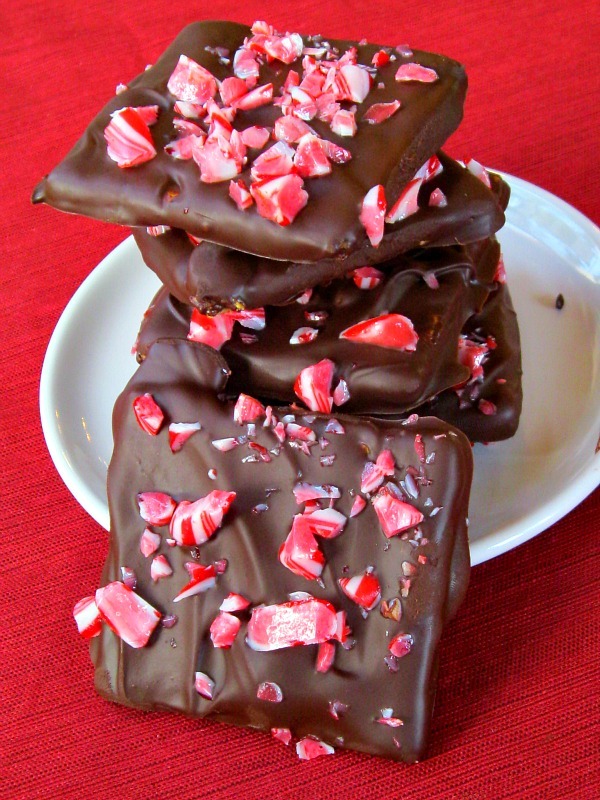 Today I made Chocolate- Dipped Candy Cane Grahams, and I got to eat my first candy cane in almost a year! 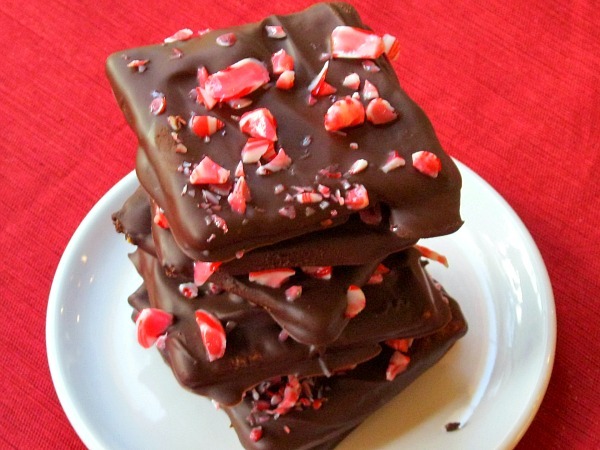 Chocolatey peppermint goodness is always great… and on a graham cracker? Even better!!! Only 3 ingredients. Wow. This must be a record breaker. 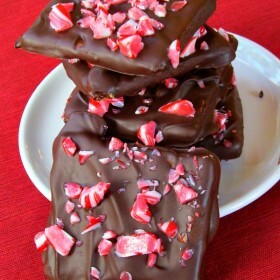 I always spend the most time on unwrapping the wrapper of a candy cane in any candy cane recipe! It is SO frustrating. 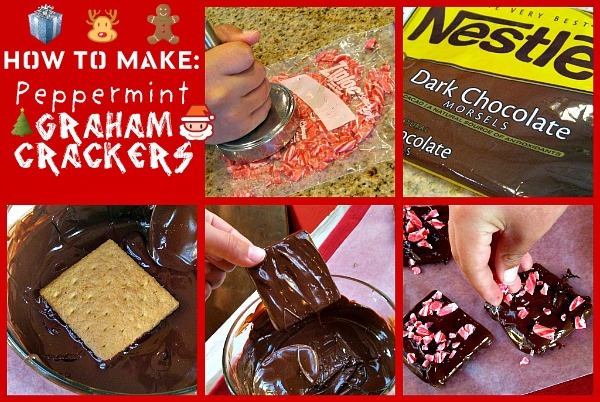 All you have to do to make this recipe is melt the chocolate, dip the graham cracker in the chocolate, and sprinkle peppermint on top. Easy! Then put the grahams on wax paper until the chocolate is set. As soon as the grahams are done setting, they can be served as a snack or dessert to anyone that likes chocolate. If you are a parent and your kiddo comes home from school with a friend, this is the PERFECT snack to serve them when they are hanging out in their room. In fact, this easy recipe is fabulous for all occasions. The early Christmas recipe was a hit with my family and started spreading the aromas and tastes of Christmas. And even a kid can make it… Like Me! 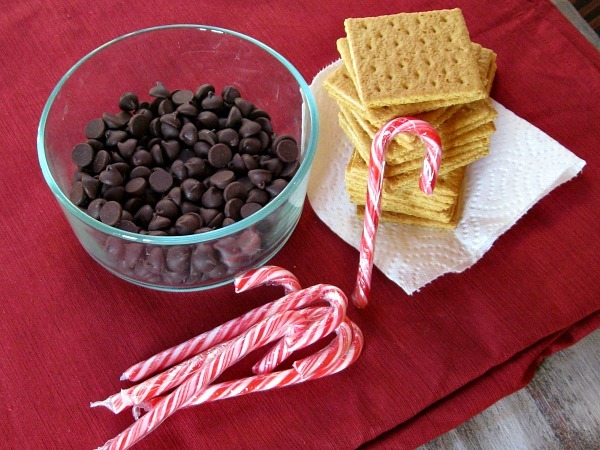 A super easy holiday treat! 1. Put the chocolate in a microwave-safe bowl, microwave for 2 to 3 minutes, stopping to stir after every minute- until the chocolate is smooth. 2. Drop a graham cracker into the melted chocolate, turn it over with a spoon to cover all sides, wiggle the graham cracker to shake the extra chocolate off and then put it on waxed paper (yep, your fingers will get kinda messy). Dab a little chocolate onto any parts of the graham cracker that your fingers might have rubbed off. 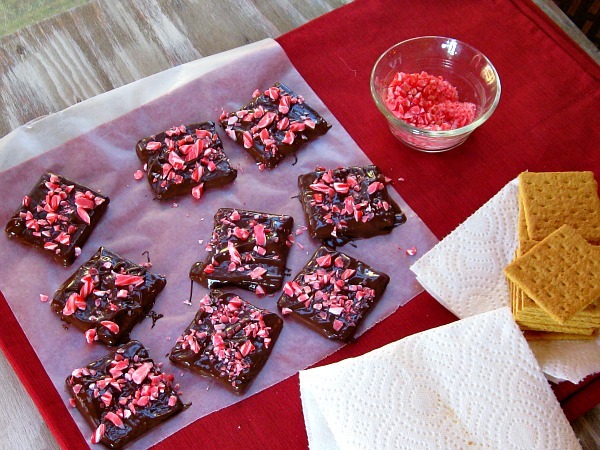 Sprinkle with smashed peppermint candies. 3. Let the graham crackers sit until the chocolate is completely set, or put them into the refrigerator to speed up the process. LOVED it. Good job son! these look so easy to make but so elegant! love them! These would make really great treats to give out to guests at Christmas dinner. Thanks for the great, easy recipe. yummy these look great. 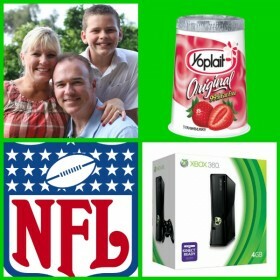 So between your blog and your moms blog your dad can get the workout blog going so we can burn all the calories from these wonderful goodies. This looks amazing & easy! Love it! When am I going to get a care package???? What a perfect gift idea for my kids’ teachers! OMG, how did I miss these?? YUM!! Your photos make this recipe look like a work of art. Just made these today and they turned out great! I’ll be taking them to a cookie exchange. A quick/easy cookie! As I was making them I thought of another variation…maybe using chocolate graham crackers and melted white chocolate. Thanks for this! I tried making these with white chocolate but they failed. 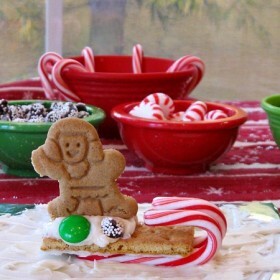 The chips were more like a frosting so I smeared it on the grams instead and topped it with peppermint sticks. So Becky I don’t think using using white chocolate is a good idea, but you can try.